Leo Laine Oy is a family business founded in 1967 and located in Rauma, Finland. The company was built around the Lokari interior mudguard patented by Leo Laine in 1963. The first Lokaris were handmade in the early 1960s by riveting rubber seals to aluminum sheets in the family’s garage. The patented concept was guiding the air flow caused by the car’s movement into the space between the car’s own mudguard and the Lokari by adding a wind scoop at the lower front edge of the Lokari. Leo Laine patented an interior mudguard with the name Lokari. In the early 1970s, Lokari began to become internationally known and began to receive attention from car manufacturing factories. At the request of the Fiat factory, a plastic version of the aluminum Lokari was developed. The development process was successful, and the company started practicing working with plastic. The first vacuum molding machine was purchased, and a small sheet extruder followed a few years later. The company acquired its first contract manufacturing customers at the end of the 1970s. 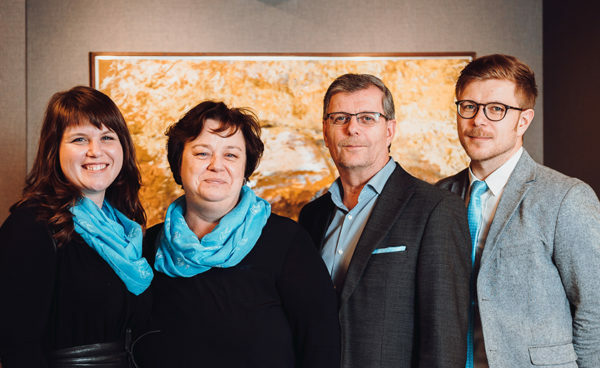 In 1982, Leo Laine received the National Entrepreneurship Award (Valtakunnallinen Yrittäjäpalkinto), and in 2018, the Laine family was presented with the Entrepreneur Family of the Year in Satakunta Award. The company is already in the hands of the third generation – and the work still continues. For Leo Laine, working together as a team was the key to entrepreneurship. The organizational hierarchy of the company has always been flat. Everyone working in the company has the same goals: producing high-quality products for the customers, keeping promises and working to keep learning and developing.